An inquest has been opened into the death of a teenager following a stabbing incident in Flintshire. Matthew James Cassidy, 19, of Liverpool, died on 29 May in Connah's Quay. 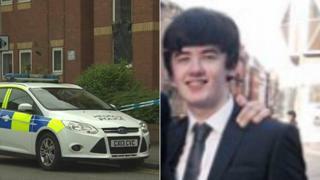 Another 19-year-old, also of Liverpool, appeared at Mold Crown Court charged with his murder. The inquest in Ruthin was adjourned until after criminal proceedings are complete, and no details about the cause of death were given. The charged man is due to stand trial in November.